For good reason. It goes against the very essence of who we are as Americans as you will soon see. My 2c on this issue, for what it's worth; I guess I have either an independent view or a dissenting opinion, depending on your perspective. Firstly, I don't think the government should be in the business of telling private business what they can and cannot offer in the way of services, insurance or otherwise. At the least, it seems to invite the perception of favoring particular viewpoints and/or corruption. However, I do think the government can define standards for services/products, and I concede that in doing so, many of the same concerns could arise, so it's not really possible to eliminate even in my "ideal" scenario. That being said, I would have no issue with the government accepting something into a standard which was objectionable to one or more religious groups. In my view, the government should be as whole-fully and intentionally ignorant of religious principles as possible when deciding on public laws/standards. It would be implicitly favoring or disfavoring particular religions to be otherwise, and the concept of what is "sacred" to any religion has no business in our government's operations. Aside from the mandates and such, if the government sets a standard for insurance, and that standard includes contraception coverage, as long as that is not being imposed on anyone, I have no issue with it. Consider, as a hypothetical, if there was a religion which held that it was against its principles to educate women. I would consider it contrary to the principles of the country to refuse to educate women in public schools, because it would offend and ostracize persons of that religion. If there's a valid, non-discriminatory public interest, overlap with various religious beliefs should not be a factor in public policy. Religion trumps any such policy, Nick, because it is in the Constitution and religious freedom was paramount to these Founders. If anyone wants to change it and insert some language in the Constitution that would say exactly what you say above regarding specific cases where the religious freedom clause can be subverted, then they have the freedom and the ability to do so. It is called the constitutional amendment clause. For example, we might have a lot more clarity about what is private and what is not if someone had filed a constitutional amendment with the following simple sentence: 'The right to a person's privacy shall not be abridged' and then get 2/3rds of the Congress to pass it and 3/4's of the states to ratify it. The thing is, I don't read the Constitution as saying that religious freedom trumps the ability of the government to enact laws in the public interest. It only says the government shall not make laws prohibiting the free exercise of religion. However, it's clearly established (and common sense) that where the exercise of religious beliefs conflict with general public interest laws, the laws trump the religion. Consider if a religion allowed you to kill other people at will: the law implicitly counters your ability to exercise your religious practices, yet would not be considered unconstitutional, due to it being in the public interest independent of your religion. It's true that, especially in the early days of the country, most people were religious, and the main concerns expressed in supporting papers and letters was ensuring that everyone was allowed to continue to practice their religion in the new country. However, I give the founders some credit for foresight: the explicitly did not include anything about any religion trumping public policy, likely because they envisioned how that might be abused by people who's religions were not "normal" (for the time). Hence the Constitution only establishes a separation between government and religion, and implies that the government should be agnostic of any religion when considering the public interests. As I said, though, that's just my opinion, and I might just have a different viewpoint than you on this issue. 83% of the American public considers themselves 'religious' whether they go to church or Mass every week...or every other day in some cases. The argument about killing people in the name of religion is absurd. What the founders said in the Constitution and what Jefferson said in the VA Statutes and the Danbury communications is that NO ONE shall abridge the right to free exercise of any citizen's personal right to worship as he/she sees fit. Even the Supreme Court upheld a religious sect that claimed smoking peyote was part of its religion...even though it is an illegal substance that other people can not buy or use legally. Religious beliefs and freedom trump civil laws. If people want to create another constitutional right, say, as to privacy or abortion, they have the constitutional amendment avenue to pursue to make their views 'constitutional' where they carry more weight than any law passed by any legislative action in this country. That is why so many gun bans are struck down by the courts. It is a 2nd Amendment Constitutional Right, plain and simple and clear as day. I still think you're incorrect about both how the Constitution is interpreted, and how it should be interpreted. I'll see if I can give a less hypothetical example to show my position. Say there was a religion where one of the beliefs was that it was your religious duty to take up arms and fight, if and when the leaders declared the necessity of violent action to "defend" the religion. By doing so, you would just be exercising your right to practice a core tenant of your religious beliefs. Do deny you from something as basic as defending your religion from those who would threaten it (blasphemers and otherwise) would be the height of suppression of your right to practice your religious beliefs. And yet, in our country, in practice, the government currently takes a dim view to those who would kill others in the name if jihad. Moreover, I've not heard of a case where that act was overlooked in the name of religious freedom, despite numerous appeals to that defense. Furthermore, I'd argue that even though 83% of the population may consider themselves religious in some respect, 99% of the population would agree that in that case, civil law should trump religious freedom. Now I'm not a legal expert, but I believe that in the cases where the government has allowed exceptions to laws on religious grounds, it was not simply a case of religion trumping civil law, but rather more complex reasoning, usually with a "libertarian" type of logic. For example, if smoking peyote doesn't hurt anyone (other than perhaps the practitioner), it may be allowed under a religious exemption to the general prohibition. Make no mistake, though: if that person then gets in a car high and drives through someone else, no court is going to accept that their religious freedom to drive high trumps the civil law criminalizing manslaughter, no matter what they believe they are allowed by their god(s) to do. It's kinda like the most recent California gay marriage appellate ruling: the court ruled that a right cannot be taken away from a group arbitrarily, when discriminating against that group serves no legitimate social welfare purpose. In the same way, the Constitution prohibits any law which infringes on any group's right to practice their particular religious beliefs, if/when the law and/or boundaries of application serve no legitimate social welfare purpose. As an interesting (and topical) aside, that's probably what the debate about mandatory insurance coverage for contraception would come down to, if debated against religious freedom to deny it: if contraception coverage served a legitimate social welfare purpose. As I said, though, at the end of the day, we may just disagree on the interpretation of the Constitution in this regard. As you say, there's always the process to clarify or change the fundamental rules under which our society functions. Nick: I promise I am not trying to be argumentative but your line of reasoning shows precisely why there is so much confusion in this country about how we fundamentally function as a nation. Things are 'constitutional' so as to guarantee some basic unalterable freedoms in this nation, REGARDLESS of who is in Congress, in the White House and on The Supreme Court at any particular time. We pass thousands of 'laws' but they are easily amended, repealed, eliminated or ignored by the 'next' Congress, POTUS or Supreme Court. Not so with the Constitution and any and all of its amendments. It is damn difficult to amend and change...and that is exactly the way those geniuses like Madison wanted it to be. If the 2nd amendment wasn't the SECOND Amendment, we would have banned semi-automatic weapons and repeating rifles and handguns LONG ago. You seem to be hung up on religions that tell people to kill other people. The only religion not totally constituted of peace I know of is the radical Islamic interpretation of what the majority of Muslims consider to be a peaceful religion. so that is really a non-starter in terms of argumentative purposes. Here's a challenge....find a law that contradicts the Constitution in any way shape or form...and I will show you a law that is about to be overturned by the Supreme Court or about to be repealed or amended by Congress. Constitution trumps civil law. It is a basic as peanut butter-and-jelly. Didn't notice this reply until today, but let me just add a couple points. I'm well aware of the order of precedence for law in the US (probably even more so than the government, for example, who ignored the 4th Amendment when passing the recent defense appropriations bill with the indefinite detention without trial addendum). However, the Supreme Court is routinely called upon to interpret the Constitution, decide how it applies to individual laws, and clarify (or manipulate) its scope. The Constitution says, with respect to religion: "prohibiting the free exercise thereof". The courts, however, have limited that protection to instances where the free exercise did not infringe on other rights also guaranteed by the Constitution. As an indirect example, the Constitution also guarantees the right to free speech, but the courts have limited speech in some areas, in the interest of protecting other rights. It seems silly to be that the founders desired to allow religion to be usable as an excuse to justify otherwise anti-societal actions. Rather, I think their inclusion of the protection was intended to prevent the government from arbitrarily limiting religious exercise, in the absence of a societal benefit; that's an important distinction. As in my semi-hypothetical example, if the religious exercise was detrimental to society in general, not only would the government act to "prohibit" it, but they would be within their Constitutional rights to do so, per the Supreme Court's interpretation of the Constitution. Also, as a side note, it's silly and/or narrow-viewed to say that radical Islam is the only religion to advocate violence or killing. Most religions have done so historically, with Christianity being a prime example. Ever read about the Crusades? That's sorta beside the point, though, which is that all religions will inevitably come into contradiction with legitimate societal interests. When that happens, you have a Constitutional issue: the right to free expression vs the right to have laws for societal benefit. Typically, the court has sided with the laws, as long as they do not single out a particular religion, or have no legitimate societal benefit. As I said, you can disagree with the interpretation of the Constitution in this regard, and/or try to change/clarify it through the amendment process, but that's the current state of the law as I see it. Coherent rational civil discourse is always welcomed at Telemachus. We can agreed to disagree but to do so in an agreeable way. which meant, under his training, that as long as Congress passed a bill with 50%+1 majorities in both Houses of Congress and the POTUS Signed it...it was 'legal' and 'constitutional'. And if the Supreme Court found parts of it to be 'unconstitutional' as they did with McCain-Feingold and the Citizens United case, Congress ALWAYS has the option to rewrite the bill and tweak it so that it does pass constitutional muster. OR...they can amend the Constitution. The Ultimate Power in the United States resides in Congress. NOT the White House or the Supreme Court or the court/legal system. AND WE SHOULD BE FOREVER THANKFUL FOR THAT! Adhering to judicial precedent would just be a continuation of injustices such as the continuation of slavery unless legislation was passed and the Constitution was amended to end it, for example. Great article. I take the position government really has no moral authority to mandate to individuals, institutions or businesses matters of personal choice not affecting society at large. I also do not believe government should have he power to force religious institutions to accept that which goes against the grain of their professed beliefs. Archaic or not. It seems the debate has become more emotional than rational. Both sides of the debate are driving it and I believe ultimately the liberals (Obama) will win the day. But that is for another discussion. Anyhoos, I linked you at Rational Nation USA. thx for the link, 'Rat Nat'....(is that an appropriate shortened version of Rational Nation to use? Frank, Well it seems Libertarians and liberals like it. Personally I like RN USA, or just RN. But anything is fine, as long as it is in keeping with the spirit of classical liberalism, which is limited government, and the founding principles of our republic. Follow the money. Taxes to support religious institutions. Sure sounds like the framers wanted religious input in governance, and rightfully so if you consider that one of the first orders of business in our new nation was on February 11 1790 two Quaker delegations petitioned the congress to abolish slavery. they didn't mind people of religious faith to be involved with politics...far from it. They thought religion was the only way a democracy could self-govern itself. Madison said as much in many of his writings. but they sure as hell didn't want the State to be telling anyone or any religion what the heck they should or could be doing relative the 'free exercise' of religion that the First Amendment promises 'no abridgement of'. Mr. Hill 'This has been settled already why are we having this conversation again? 'I hear that a lot lately.So I look for conversations like yours that will enlighten me with information such as the three 'fundamental' documents you describe. 'Contraceptive edict' is spot on. Title 42 of the U.S. Code of Statutory Law which deals with Education and Public Welfare was 128 pages in 1944 when it was written, in Jan. 2010 it was 6200 pages, that's 1700 pages more than the total pages of the U.S. Code of Statutory Law at the beginning of the "New Deal"In 1944 the U.S. Code of Statutory Law was three volumes in 2010 it was 30 volumes. 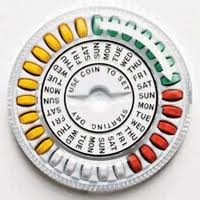 The contraceptive edict is a regulation that has been revealed, when Speaker Pelosi stated we have to pass it to find out what's in the bill she knew the 'REGULATIONS' weren't written yet.The fourth estate failed to live up to their obligation to the people to explain these facts to them, after all they are the only industry in the U.S. explicitly protected in the Constitution. I appreciate your comments and I think I have learned something like the above information which you seem to be pretty ensconced in. However, I got to be honest and say I am a little uncomfortable carrying a conversation with someone who will not reveal their identity. Nothing personal. I just think it is a little 'creepy' that someone so learned would be so fearful of having their identity known in public. So while I appreciate your input, I won't be responding further until you take the mask off the masked man. thanks for reading Telemachus though...appreciate it. Sorry Frank... Agreed it is a little creepy I'm John Colwell. My lack of computer skills is my reason. Clicking anonymous seemed to be the path of least resistance,I'm still learning,I've only had a computer for a short period of time. That was simple. I seem to remember the Federalist Papers were published anonymously. The codes are utilized to usurp Constitutional Authority.Citing those 'fundamental' documents is an excellent strategy to prove the intent of the framers who believed only an educated virtuous self reliant people would protect their prized individual autonomy and freedom and resist the encroachments of government...Republican Virtues...Without these uniquely American characteristics the citizenry will capitulate to the inducements of the entitlement state. Glad to meet you Mr. Colwell! Your comments and input is always welcome!